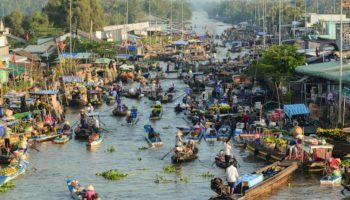 Although Northern Vietnam gets fewer visitors than Ho Chi Minh City and the coastal cities in the south, this is a region of the country not to be missed. 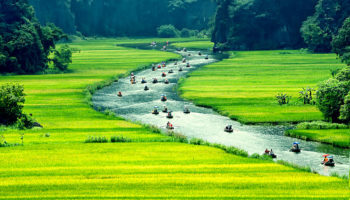 Not only is the region home to Hanoi, Vietnam’s capital, it is also where you’ll find breathtaking bays, stunning rice terraces and unbeatable scenery. Northern Vietnam’s cultural attractions are just as diverse ranging from the chaotic highland markets to the hill-tribes in the far north. 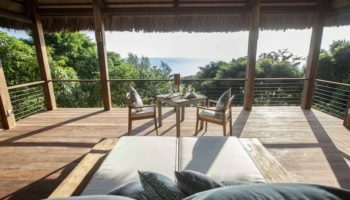 Narrowing down the many options to fit your itinerary can be tricky, but this list can help point you to the region’s top destinations. In the heart of the Hòa Bình Province is Mai Chau, a district with lush greenery, beautiful mountains and a vibrant culture. Mai Chau is a wonderful place to explore if you’re looking to get an authentic view of the many cultures that have found a home in Northern Vietnam. Mai Chau is a sort of melting pot, serving as the home to seven distinct ethnic groups: Hmong, Zao, Muong, Hoa, Viet, White Thai and Tay. In addition to the verdant valleys, Mai Chau is noteworthy for its stilt houses. These houses are constructed 3 meters (10 feet) off the ground, and they often provide shelter to animals escaping inclement weather. In Vietnam’s Halong Bay is the Cat Ba Archipelago. 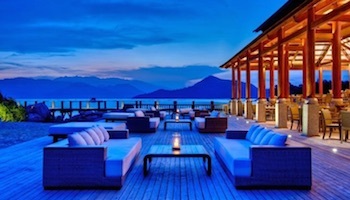 While the archipelago boasts more than 360 islands, the largest is titled Cat Ba. Although there are many beautiful places to explore on the island, Cat Ba town is not among these, with its low-rise concrete hotels along a once-lovely bay. 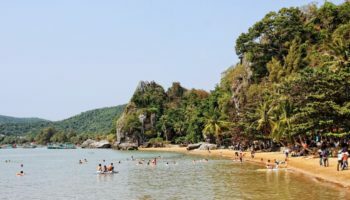 Fortunately, more than 50 percent of the island is a national park, which was created to protect the rare Cat Ba Langur, an adorable but difficult-to-spot primate. If you’re not able to spot any langurs, take a ferry over to Monkey Island. There, macaques are in abundance. Cat Ba Island is also home to the incredible Cannon Fort, which was constructed in 1942. You can tour the fort and take advantage of the elevation to snap some amazing pictures of the views below. Halong Bay is, without question, one of the most popular destinations in Northern Vietnam. However, it is not the only beautiful bay worth exploring in the region. Bai Tu Long Bay is adjacent to Halong, and it also boasts a sinking limestone plateau, gorgeous blue waters and an abundance of small islands. 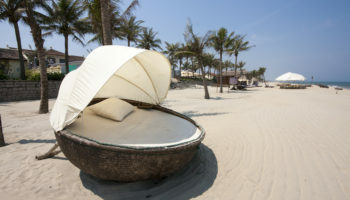 In fact, many people prefer Bai Tu Long Bay because it is far less crowded than its more popular neighbor to the south. The best way to tour Bai Tu Long Bay is by boat, and there are any number of cruises that can take you to the highlights throughout the bay. Right on the border between Vietnam and China is the breathtaking Detian Waterfall (also known as Ban Gioc). The whole area is known as the Detian Scenic Zone, although the waterfalls are certainly the main attraction. Detian is made up of three stages, which makes the scene more dramatic as well as interesting, with small pools and minor cascades along the way. One of the more unique ways to see the Detian Waterfall is to hire a raft and a guide and get close from the river itself. At the 53rd merestone, it is possible to legally cross between China and Vietnam freely, so you might want to hop across the border just to see the falls from a new perspective. Just a few miles from the Chinese border is the town of Bac Ha. Bac Ha is very small, and during the week the best way to explore is to check out the town square. There are a handful of local eateries serving delicious, inexpensive cuisine, and there are several vendors selling handmade crafts. What truly makes Bac Ha worth a visit, however, is the Sunday Market. Every Sunday morning, residents from throughout the region gather in Bac Ha, and it becomes a cacophony of color, sound and vibrancy. The members of the surrounding hill tribes come to shop and sell, making it a fantastic opportunity to see a range of ethnicities in a single, scenic setting. On paper, Tam Coc can be described as rice paddies surrounded by limestone cliffs and rock formations. In reality, Tam Coc is one of the most breathtakingly beautiful destination in the entire region. 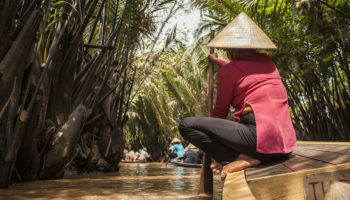 The best way to explore is by boat, and you can set off on a rowboat that takes you up alongside the lush green paddies and between striking limestone cliffs. You’ll even float through three tunnels that run through the mountains, which were carved over time by the river itself. From your boat, vendors may tempt (or deter) you with local souvenirs and handicrafts. One of the most remote provinces in the country is Ha Giang. Close to the border with China, Ha Giang Province is known for its green forests and granite mountains. It is an incredible destination to explore ethnic diversity and to participate in outdoor activities like camping or hiking. As such a scenic province, Ha Giang to home to hundreds of spectacular vantage points. However, few can compare to Ma Pi Leng Pass. Outdoor markets are a regular occurrence in Ha Giang, with residents traveling to attend these weekly or monthly events. One of the most thrilling is the Dong Van Market, which is held on Sundays. The mountainous town of Sapa is known for its culturally diverse population as well as its proximity to incredible scenery. Sapa itself is home to the members of many hill tribes, including the Hmong, the Dao, the Muong and the Tay. The town also overlooks the magnificent Muong Hoa Valley and its terraced rice fields, which are staggering to behold. If you want to get an inside look at the local residents and their cultures, then head to Sapa for an overnight trek or a homestay. You can hike out to the more remote villages and then spend the night, dining and learning from the hill tribe residents. 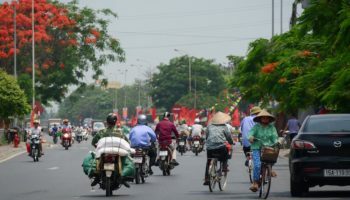 If you only visit one place in Northern Vietnam, it will likely be Hanoi. 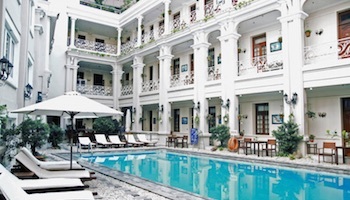 As the nation’s capital, Hanoi is an exhilarating blend of eastern and western culture. 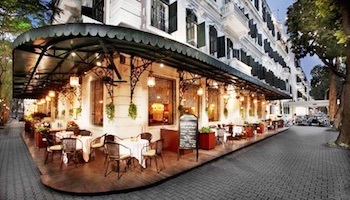 French colonialism is visible through cuisine as well as architecture, particularly in the French Quarter in the Hoàn Kiếm District. Hanoi is packed with incredible temples, and a visit to the 11th century Temple of Literature is a must-do activity. The side-by-side Ho Chi Minh Museum and Mausoleum are also major attractions in Hanoi, and both are striking buildings from the exterior. One of the best-known destinations in the entire country is Halong Bay. Its reputation is well deserved, because it is truly beautiful. Halong means descending dragons, which is indicative of the silhouette of the limestone outcrops that poke out from the water. Day cruises or overnight boat trips are a spectacular way to experience the beauty of Halong Bay and to see as many of the islands as possible. 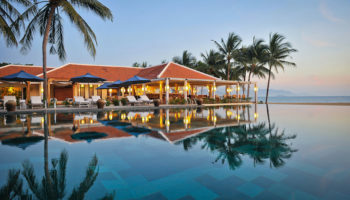 In addition to Cat Ba, Quan Lan is a popular stop that is beginning to develop some tourism infrastructure to accommodate a longer stay. 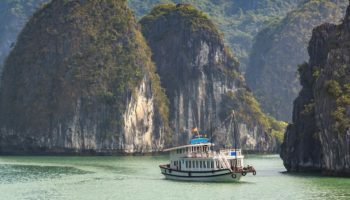 You can go swimming, look for caves to explore or find some of the more remote, uninhabited islands while cruising through Halong Bay.